Insights Success is “The Best Business Magazine” in the world for enterprises. Being a platform, it focuses distinctively on emerging as well as leading fastest growing companies, their confrontational style of doing businesses and the way of delivering effective and collaborative solutions to strengthen market share. Zingtree was initially borne by an existing consumer software company that Bill had founded in the early 2000’s. While looking at ways to address the rising cost of customer support and repetitive tickets that were delivered on a daily basis, the company decided to hard code decision tree troubleshooters as part of its online support process. What happened next was an incredible change and improvement in the support efforts; immediately, they saw a 25–30% reduction in the number of tickets received. This drastic reduction led them to the conclusion that many customers preferred to self-solve their inquiries and issues at any time, provided a guided online solution. This “Aha” moment initiated the development process of a simple-touse toolkit that allowed anyone to build their customized decision trees. Coming from a consumer background, Zingtree focused on developing a platform that does not require IT involvement. With its online-toolkit, content, and support, managers can easily build and manage their decision trees and agent scripts without the need of back-end developers and technical knowledge. Zingtree has received numerous comments from customers as to how fun and easy Zingtree’s solution is for creating, customizing, publishing, and managing decision trees online. From the initial launch of Zingtree, they discovered very quickly that customers had many and varied customer support needs that could ultimately be streamlined, simplified, and improved. The idea of interactive troubleshooter-style trees for selfhelp technical support quickly expanded into other exciting areas. 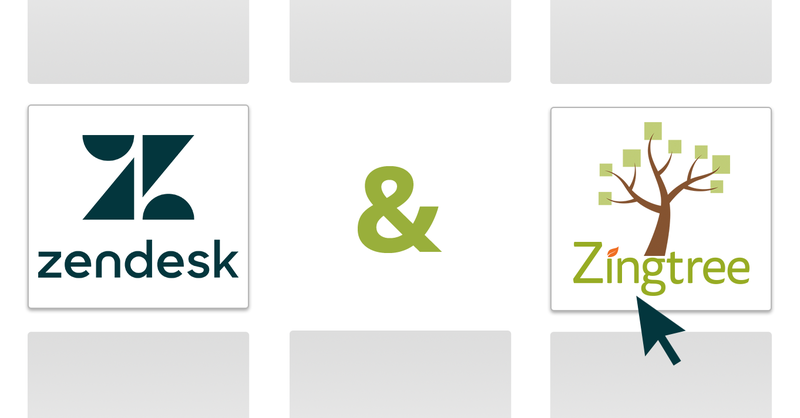 Call center companies started engaging with Zingtree for building, and testing guided agent scripts for their teams. Currently, 50% of the Zingtree customers are either call center companies or businesses that have employees who specifically use Zingtree for agent scripting purposes. As businesses see the benefits of a script as a guide for their agents, as well as an excellent tool for training and onboarding, they delve a little deeper into the use of customer-facing decision trees. This theme has become more common as companies are looking to streamline all organizational processes including the ability to provide immediate and unattended answers for self-solving. Pick up the latest Insights Success to for more, or read the full article on their website here.